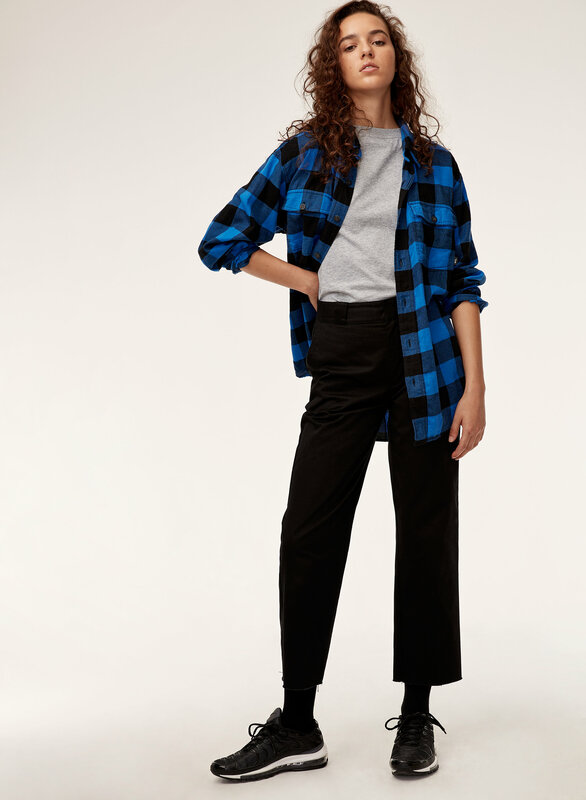 Styled with the perfect t-shirt and the skater pant . 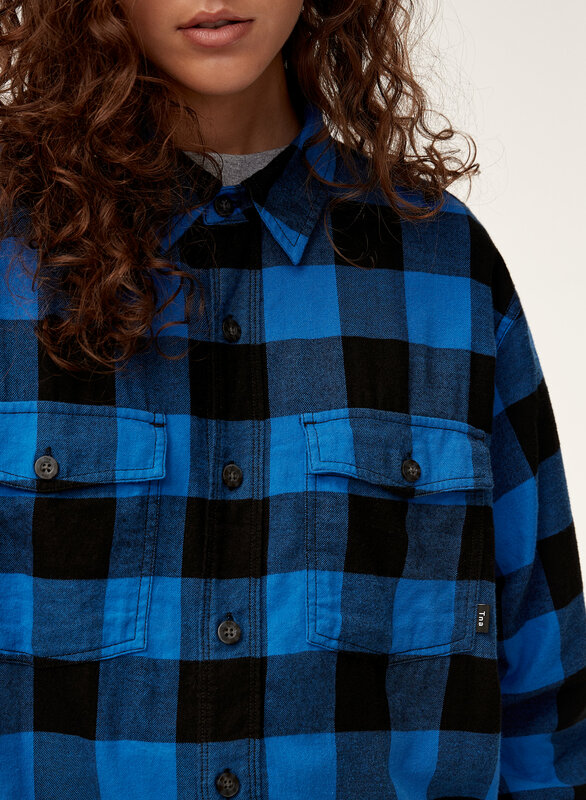 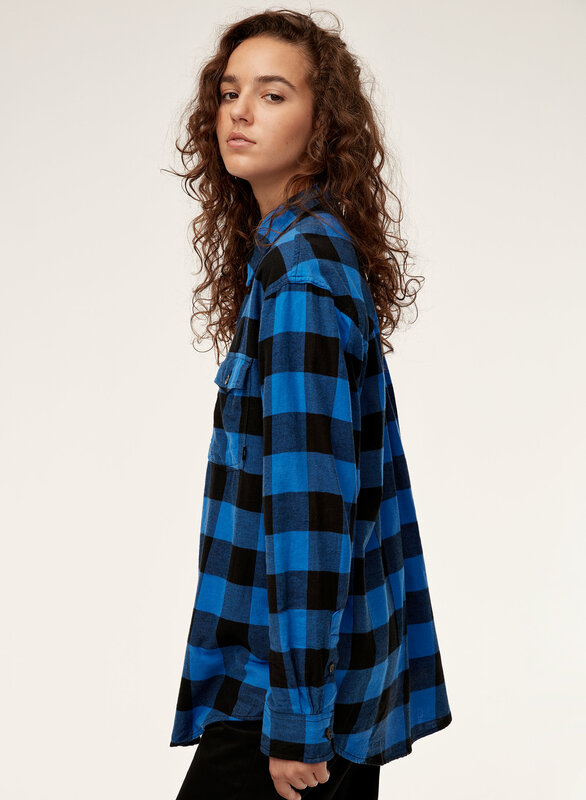 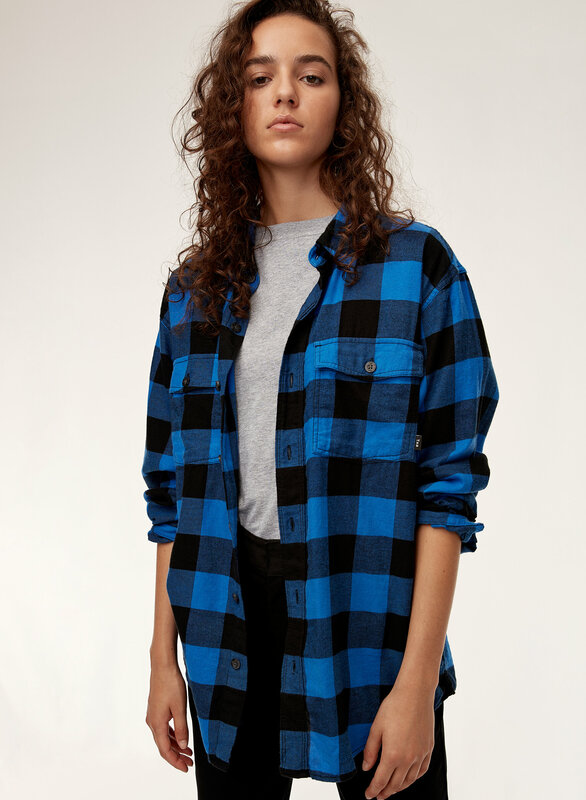 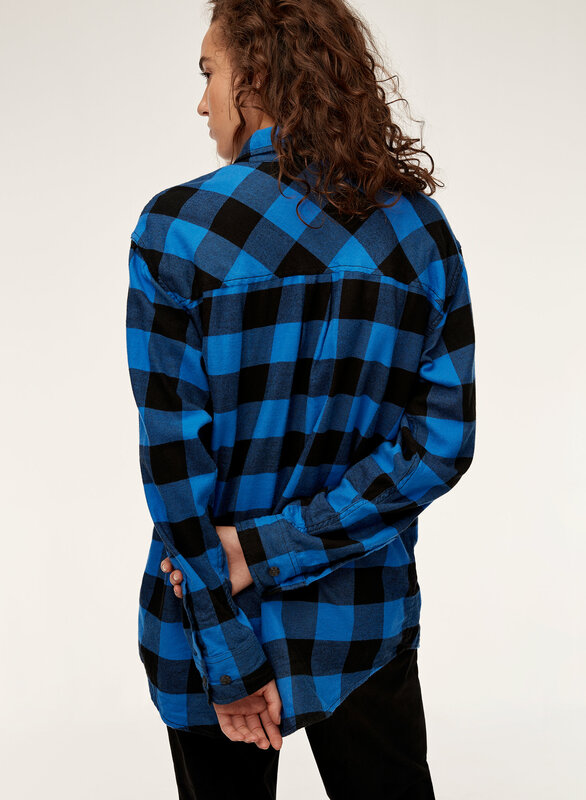 This generous, oversized flannel is a thing of layering dreams. 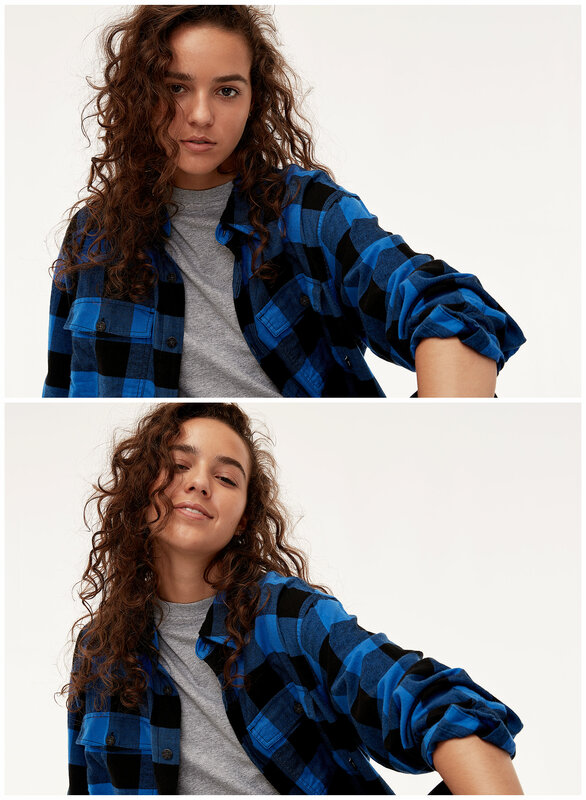 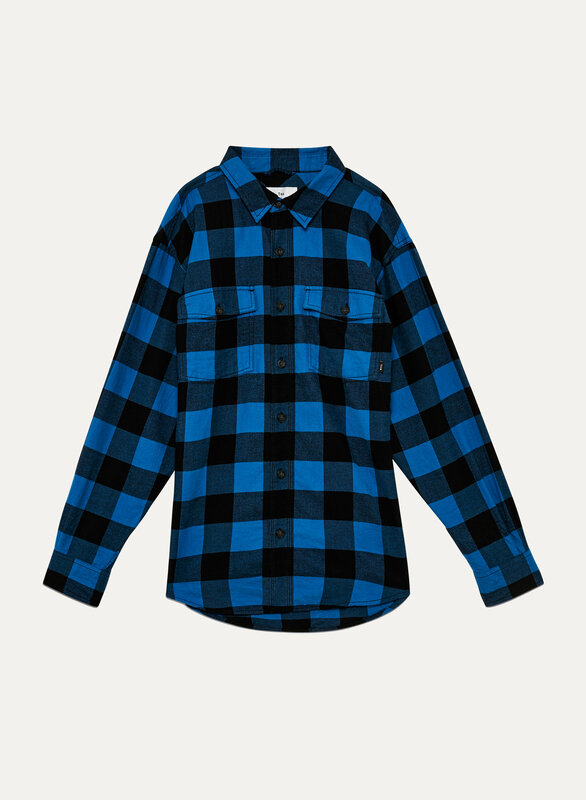 More than relaxed, it's the dad to your "boyfriend plaid".